ABS code readers are special scan tools which read fault codes and run other diagnostics on Anti-lock Brake Systems respectively. If your ABS warning light is on, you need to have an ABS code reader to identify the faults which caused the light to turn on. There are several ABS code readers / Scanners available in the market. Thus, it can be a bit tricky for you to choose the one which is perfect for you in every respect. Pros +This scanner is able to read and clear engine trouble codes. + It can be used as an on-board additional accessory. +It is compatible with multiple languages such as English, French and Spanish +This scan tool can be connected to both Apple and Android mobile devices. +It reads ABS codes, SRS (Airbag) codes and Transmission codes. +The device has over 6.6 million fixes that have been verified by certified auto-technicians. +It clearly has more functions than other scanners and is sold at a reasonable price. +Can work for any brands made after 1996. +It has a clear and wide 480 x 840 color display. +Having a free updates ensure that the tools are always up-to-date. +Sometime it is hard to update due to unable to connect to the website +The tool can’t be used to read codes without a phone or tablet connected via Bluetooth. +Its unique Enhanced Diagnostics (ED) feature is not offered for all vehicle brands. +The instructions for the code reader are pretty vague. 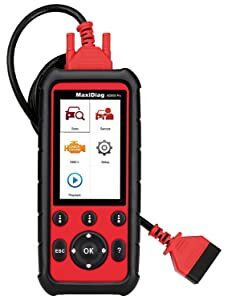 Bottom line If you have a vehicle model compatible with this tool and you don’t want to spend too much, then the ML619 is a good choice An excellent tool for DIY car mechanics and comes at a relatively cheap price Having a handheld design and an easy operations system. This Code Reader is suitable for technicians, DIY-ers, and auto shop owners. This Autel Maxilink ML619 OBDII Code reader can analyze both ABS and SRS systems. Correct them and help you to read your vehicle’s data too. Autel Maxilink ML619 ABS Code reader can be updated and upgraded using the Internet. It is ideal for detecting faults on anti-lock brakes ABS, supplemental restraint systems, and airbag systems. 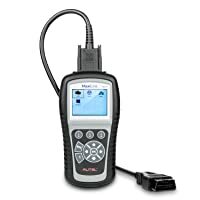 Autel Maxilink ML619 diagnoses ABS/ SRS system codes on most 1996. It also works on newer major vehicle models including GM, Ford, Chrysler, Volvo, VW, Mercedes, BMW, etc. Autel Maxilink ML619 ABS Code reader can be updated and upgraded using the Internet. It turns off Malfunction Indicator Light (MIL) and ABS warning lights. It retrieves generic, manufacturer specific codes and pending codes. For models before 2002, you need an additional connector cable. It doesn’t support MAC OS. It doesn’t work for electric cars. If you have a vehicle model compatible with this tool and you don’t want to spend too much, then the ML619 is a good choice. It is a good choice for DIY-ers. Autel MaxiDiag MD808 Pro OBDII Scanner can read and clear trouble code, it also support oil service reset. Autel MaxiDiag MD 808 is a good choice as an ABS code reader. It scans all available vehicle systems, not just the engine, ABS, SRS and Transmission. This ABS code reader is compatible with domestic, Asian and European vehicles, 1996. It has a global OBD II coverage for U.S. domestic, Asian and European makes and models. Autel MaxiDiag MD 808 scans all available vehicle systems, not just the engine, ABS, SRS, and Transmission. Who Is It Built For? 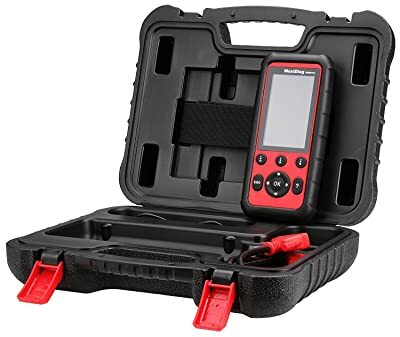 Autel MD808 Pro ABS scanner will give most DIY auto mechanics a good grasp in determining a good pathway in fixing their cars. 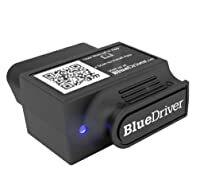 The BlueDriver Bluetooth Professional OBDII Scan Tool does everything you’d expect an OBD-II scanner to do. BlueDriver has an amazing 32-foot range, and its app is available on both Android and iOS platforms. Its Freeze Frame feature delivers a slice of data. Moreover, the app can display speed, engine RPMs, and other data as numbers or graphics gauges. It performs pre-inspection emissions checking and interprets the specialty codes for BMW/Mini and Toyota vehicles. Nissan’s codes are being added. It can count engine misfires on many newer cars, and the reports can be saved as PDFs. BlueDriver has an amazing 32-foot range, and its app is available on both Android and iOS platforms. Can read and clear enhanced codes: like ABS, Airbag, Transmission, etc. The computerized voice can be annoying at times. It also doesn’t give detailed info for the codes. 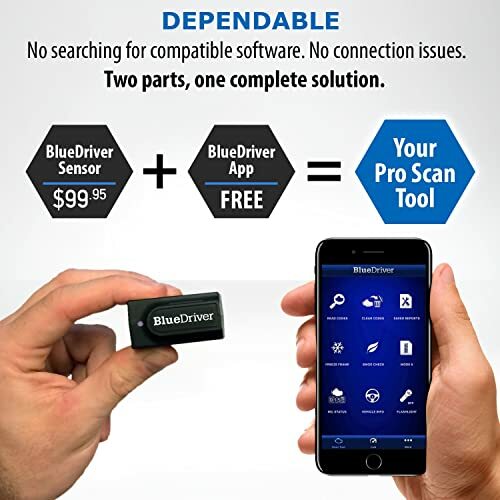 The BlueDriver Bluetooth Professional OBDII Scan Tool is an excellent tool for DIY car mechanics and comes at a relatively cheap price. The Innova 3100J is the perfect entry-level tool designed to facilitate any general users or technicians. This code reader is compatible with all 1996 and newer OBD2 cars, light trucks, SUV’s, hybrids, and minivans. A simple and affordable ABS scan tool, the INNOVA 3100j allows you to diagnose your car’s problems. It accesses onboard systems safely and reads codes. With the help of Innova 3100j, you can quickly reveal the cause of “Check Engine” light warnings. It works for any 1996 and newer OBD2 car, light truck, SUV, and hybrids. With the help of Innova 3100j, you can quickly reveal the cause of “Check Engine” light warnings. Can read and erase ABS & SRS light trouble codes. Can check the performance of a vehicle’s charging system. The oil reset feature provides step-by-step reset procedures. The free updates ensure that the tools are always up-to-date. The instructions for the code reader are pretty vague. There is an associated subscription fee to access the site. INNOVA 3100j is designed with easy handheld and easy to operate. It is suitable for technicians, DIY-ers, and auto shop owners. 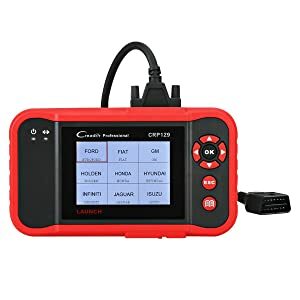 Not only can Launch CRP129 reset your check engine light it can also reset your oil light, reset your break block, and correct steering angle system. This scanner can literally do pretty much everything. This reader works on over 40 1996 US-based, 2000 European-based and newer OBD2/EOBD protocol vehicles. It has an advanced system output and graphics display with OBDII Data Stream. It makes the analysis of diagnostic information relatively easy while you are repairing and adjusting the vehicle. 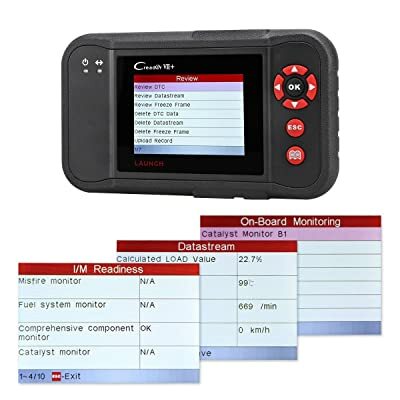 Launch CRP129 has an advanced system output and graphics display with OBDII Data Stream. It has a one year manufacturer’s warranty. You can access all the latest updates online. It cannot work on diesel trucks but can work for some 12v diesel vehicles. 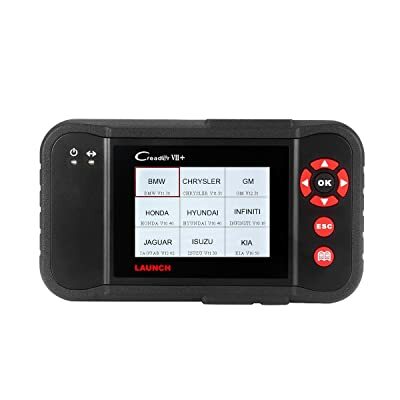 Launch CRP129 OBDII is an automotive Diagnostic Tool for mechanics and professionals. It can diagnose tens of vehicles within an hour, though that depends on your activeness. The Launch Creader VII+ (CRP123)offers affordable professional diagnostics conveniently and comprehensively. It is compatible with over 25 car models from Asia, Europe, and America. Launch Creader VII+ can support four systems i.e. Engine/Transmission/ABS/ Airbag System. Launch Creader VII+ covers more than 20 main car models in America, Europe, and the Asia Pacific regions. It only supports the cars after 2006 for ENG/AT/ABS/SRS diagnosis. It supports all 10 test modes of OBDII protocol. Launch Creader VII+ (CRP123) is helpful for both DIY-er car mechanics as well as professional auto-repair workshops. 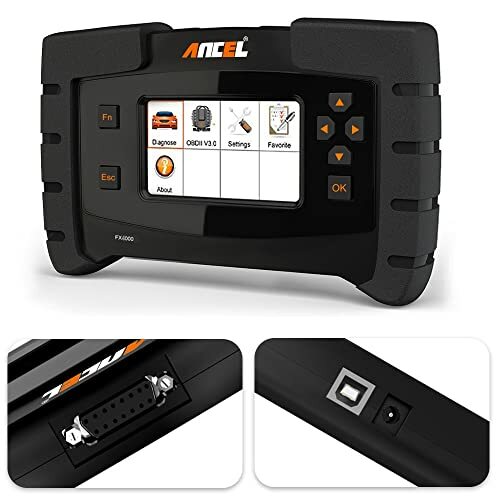 The Ancel F4000 offers affordable professional diagnostics conveniently and comprehensively. It is compatible with over 40 car brand. This powerful scan tool is designed to check Engine Transmission, ABS, SRS (Airbag), EPB, Oil service reset, SAS Steering Angle, and other system diagnostics. ANCEL FX4000 supports over 40 global car brands after 1996 US, 2001 European, 2003 Asian and newer OBD2/EOBD vehicles. This automotive scanner can only diagnose 12v cars and 12v trucks. 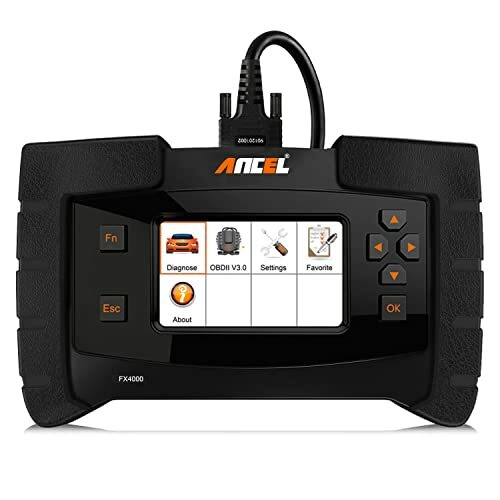 Ancel F4000 code reader efficiently provides comprehensive vehicle diagnostics and analysis. So, if you want a professional ABS scanner to help you with car problems, this is the one. In the above article, I have discussed the features and the pros and cons of the 7 ABS code readers which I found to be the best among several available as per my opinion. You can compare the ABS code readers and choose the one which is tailored perfectly to your needs! EVAP Leak: Why? And What to do? I knew incidentally what an OBD scanner was by searching on the Internet. Now I have over 10 years of experience in car repair and using OBD scanners. With what I know, I think I should share with everyone. That’s the reason I created this blog. 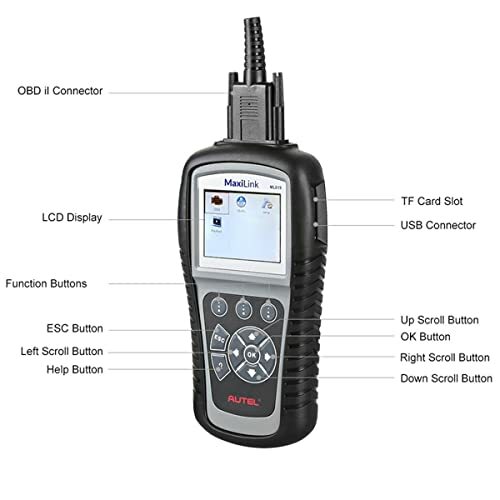 Autel MaxiLink ML329 (2018 upgraded) is a scanner with patented one click key which enables you to check the status of your car and verify repairs. Foxwell NT510 is a powerful multi-system scanner which is highly recommended by professionals. It can work fluently on both OBDI and OBDII. Read more NOW!! Carista Bluetooth OBD2 Adapter is one of the best OBD2 adapters that allows you to hook up your phone or tablet to your car’s diagnostic system. If you’re looking for a scanner that could support full system diagnosis. ANCEL X5 is the most appropriate scanner for you. Read more before buying it! 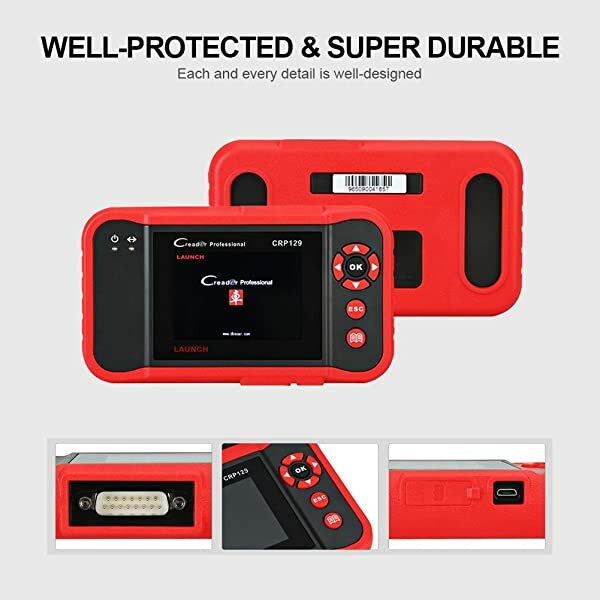 If you are searching for an OBD2 scanner that can diagnose and correct the ABS and SRS systems of your car, Autel MaxiLink ML619 OBDII Scan Tool will be your best solution. This page will highlight how this Autel scanner identifies and corrects any errors with these systems. Brake Light On: Why? What to Do? © 2019 OBD Advisor All Rights Reserved.